One of the joys of moving is discovering new places to visit. John and I have lived in Utah for just over a year now, and I'm excited to share with you some of the places we have found. I plan to make "Tuesday Travels" a weekly feature, and while I have quite a few posts already in mind, I'm also looking forward to doing further research. If you have suggestions for places you would like me to feature, please let me know. Today I thought I'd share my experiences with The Soap Factory in Provo. The Soap Factory, as you might guess, is a place where you can go make your own soaps. 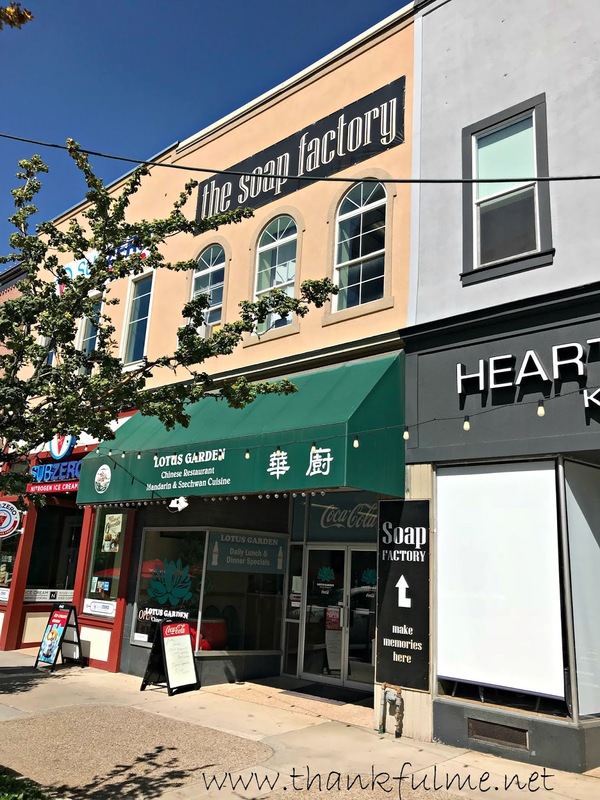 It's located in an upstairs office on Center Street. Though labeled, it is easy to miss if you aren't looking for it. Once you reach the top of the stairs, you enter a big open area which is The Soap Factory. Employees are there to greet you and to explain the process. There is a small studio fee, plus the cost of your soap. All the charges are explained upfront. Your first step is to pick the mold you want. There are so many to choose from! Once you know the shape of your soap, you need to pick out the scent you want to add. Again, there are lots of options. Photo: A table filled with vials of essential oils. You will also choose a color, as well as any add-ins (pumice, charcoal, etc.) 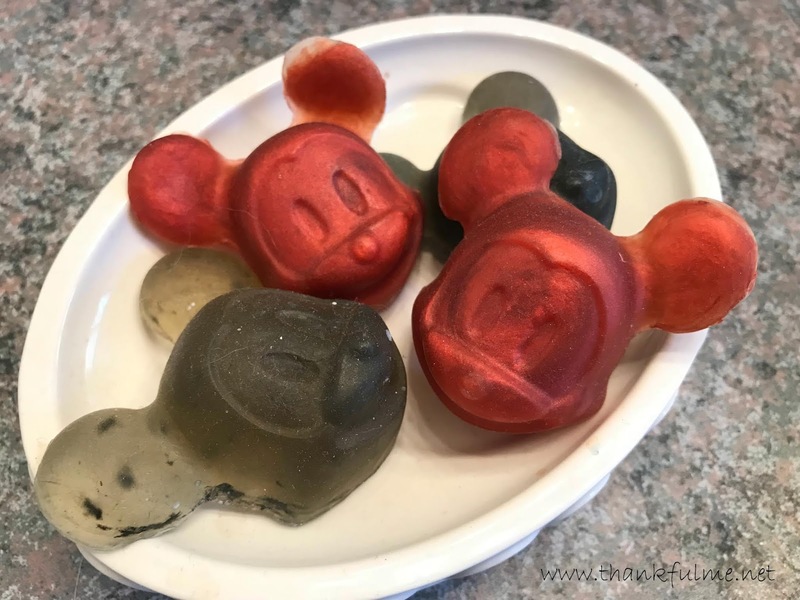 When you have everything, an employee will bring the soap liquid to your table, and explain how to mix it all together in the mold. You will stir your soap until it starts to gel. Once it is solid, you remove it from the mold and let it dry. 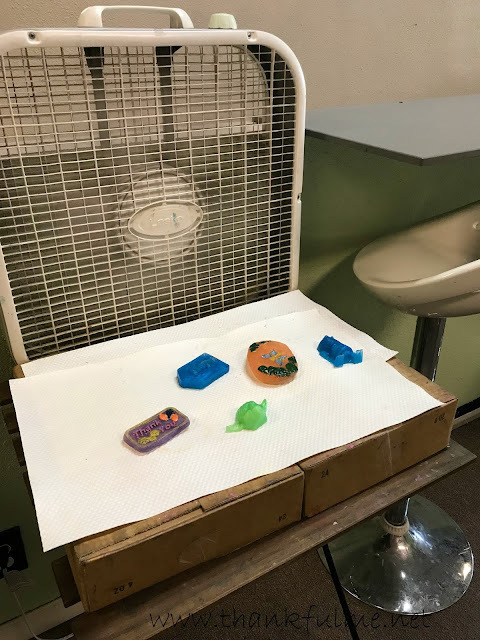 Photo: Soaps dry in front of a box fan. 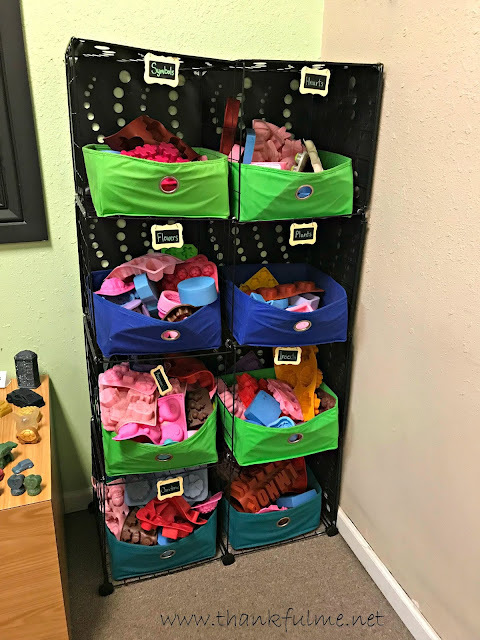 Before long, your soap is dry and you can weigh it, put it in a paper bag, pay, and go home and display your new creation. 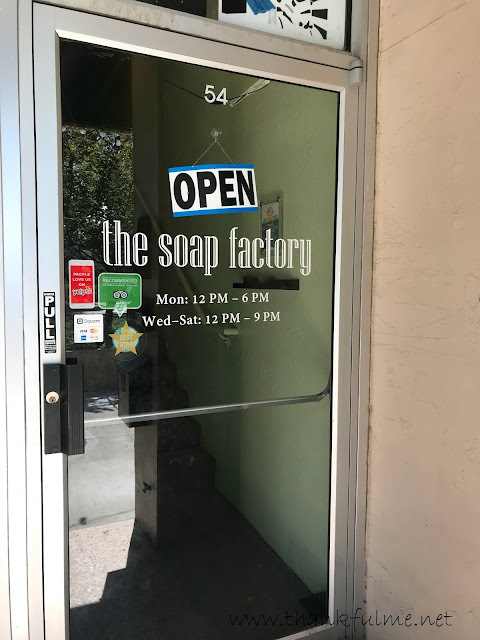 I've visited The Soap Factory twice, and no matter whether the group included older children, teens, or adults, everyone had a good time. If you are looking for an indoor activity in Provo, I recommend visiting The Soap Factory. What scent, shape, and color of soap would you want to make? Sound like a fun place to visit. Love the idea of Tuesday Travels. Thank you. It was a fun place.